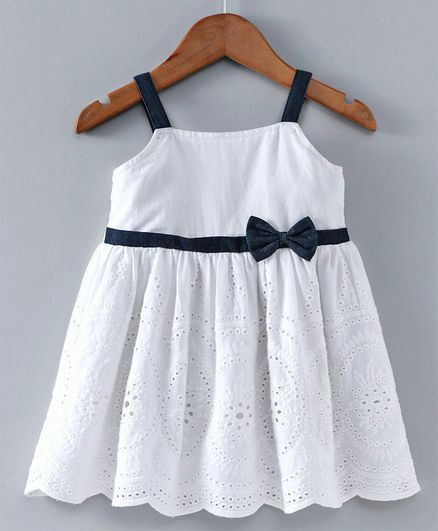 Babyoye brings to you this singlet frock. Trendy frock with schiffli embroidery and denim singlet sleeves, waist band and bow applique makes it stylish and comfortable at the same time. This flared frock has a elasticated back which makes it a fuss free dressing for the little girls and which makes frock stay right in place all the long.. This dress is perfect for outings and summers. Made from soft fabric, this regular-fit frock will keep your girl comfortable all day long.